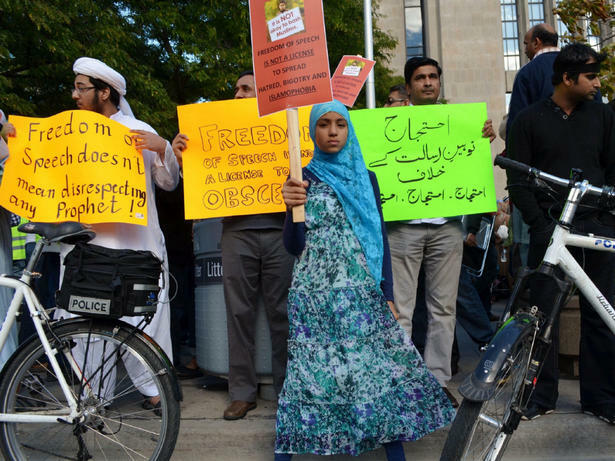 Protesters at the US Consulate in Toronto yesterday demanded that American authorities do something about the infamous anti-Islam video, the Innocence of Muslims. 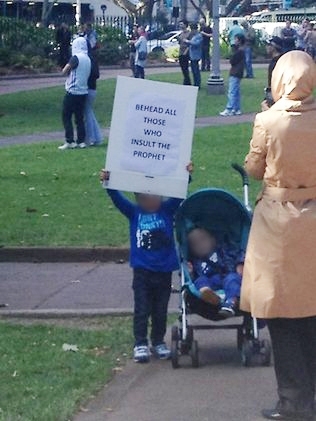 They held up signs claiming that “free speech does not mean disrespecting any prophet”, among other things. But, my friends, that is EXACTLY what free speech is. It is precisely the right to disrespect, even insult if I wish, God, Yahweh, Lenin, Stalin, Hitler, Christ, Mohammed, Buddha, Ra, Moses, and every other living or imaginary prophet, deity, political or religious leader. Even using crude or obscene language and bad humor, if that happens to suit my fancy. No, I am not ready to join the ranks of Islamophobes worried about the coming Caliphate, but I still categorically reject these Islamist attempts to limit the right to free speech in Western societies and the implied or, in this case, explicit threats. As an immigrant myself, I think I have the right to say something that might appear a tad more distasteful if uttered by persons born here in Canada: if you don’t like it here, you are free to leave. Perhaps go to Pakistan. After all, that fine country’s Minister of Railways thinks that offering a $100,000 bounty for the head of the filmmaker is the right thing to do. How enlightened and civilized. I am sure people who think about free speech like these protesters do would fit right in.